Ok this isn't a traditional Sloppy Joe, not at all. 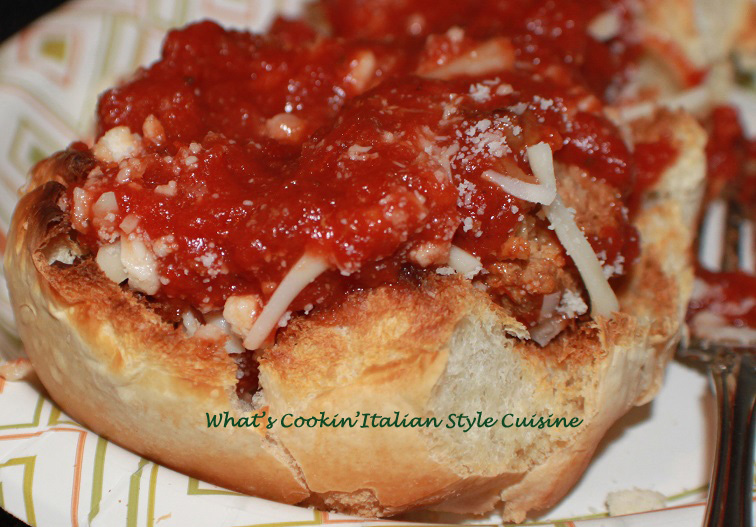 This is meatball lovers recipe using leftover meatballs smashed up with lots of wonderful cheeses, chopped roasted peppers, ground fried crumbled sausage, your favorite sauce and added to a toasted hard roll! One of the best leftover sandwiches you will ever make! Toast your rolls under the broiler with a little brush of olive oil and sprinkled with garlic powder. Crush or smash 8 to 10 medium sized meatballs with a fork. Fry sausage until cooked, drain. then add chopped peppers stirring all together. Add the crumbled fried sausage and peppers to the crushed meatballs. Add two cups of sauce. On a cookie sheet open both side of the buns that are already toasted. Add meatball mixture to both sides. Sprinkle generously with grating cheese and mozzarella/ provolone mixture, then broil until melted. I usually make traditional sloppy joes, so it's nice to see this Italian version to change things up!